The value of a university stems from its ability to generate new ideas and contribute to society through scholarship. 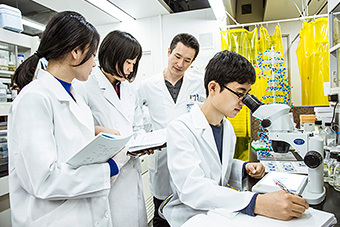 Top-level researchers at the Keio University Graduate School of Medicine do just this, pursuing advanced research across a wide range of fields that include the biological sciences, basic medical science, clinical medicine, and social medicine. Research is often done in pursuit of a specific scientific interest with no consideration given to clinical application. However, the results of such research, in addition to their scientific value, can actually lead to the discovery of new drugs. Conversely, by making full use of new systems biology technologies, we now have the potential for entirely new ways of scientific discovery and exploration, which may lead to the diagnosis, cure, and prevention of diseases using smaller samples. It is extremely important for a graduate school to publish its research findings in order to raise its international visibility and to attract talented researchers. The innovative research of those early career researchers and graduate students will lead to the production of important intellectual property for the university which further benefits people and the world. 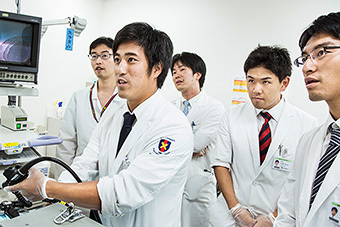 The most competitive universities in the world are all engaged in this cycle of innovation, and the Keio University Graduate School of Medicine is no exception. 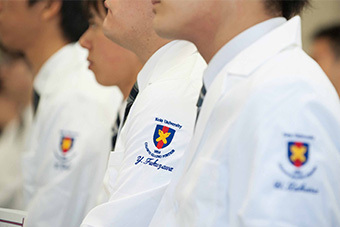 Dr. Shibasaburo Kitasato, the first dean of the School of Medicine and later the first Keio University Hospital Director, proposed a guiding principle of “close cooperation between the basic medical sciences and clinical medicine will unite us as one family.” The inheritance of this ambition has led to the recognition of Keio University School of Medicine and Graduate School of Medicine as a leader in integrating basic and clinical medicine among Japanese universities. 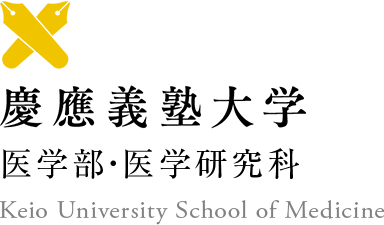 Currently, the Graduate School of Medicine is developing collaborative research in and between the life sciences, basic and clinical medicine, and social medicine with an eye on training graduate students to become the medical leaders that shape the future. To that end, we have improved our physical infrastructure, expanding research facilities and medical facilities in recent years, and constructing a new hospital building equipped with the latest facilities and technology that will be completed during the 2017 academic year. We have also developed our organizational infrastructure, which includes our research and education environment, in a number of ways. Our curriculum is now delivered almost entirely in English, and we have developed academic programs for in biomedical ethics and biostatistics, a field that is essential for clinical research. We have secured a wide range of public and private funding to create new interdisciplinary frameworks for research and education. 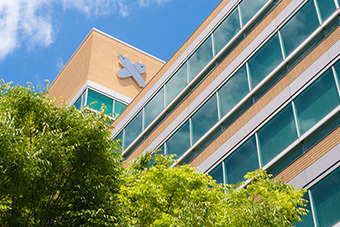 We have also established industry-academia collaborations with companies focused on translational research here at the Shinanomachi Research Park as well as a framework for collaboration with the best research and medical institutions both in Japan and abroad that includes a collaborative graduate school system. The Keio’s academic environment has helped to increase the number of graduate students who acquire their degrees by publishing their research in top international journals. Furthermore, while the number of Japanese students who study abroad has fallen in recent years, many of our students do go abroad and we expect them to make a positive impact on the future around the world. Day after day, we work hard, together with early career researchers and graduate students, to make continual strides in research and education at the Graduate School of Medicine. I invite the future pioneers of medicine to join us at Keio to drive innovation and strengthen collaboration as we work to advance human health. Prof. Okano’s research interests include general neuroscience, neurochemistry/neuropharmacology, molecular biology, and developmental biology. Graduated from Keio University School of Medicine in 1983. From 1989, worked as a postdoctoral research fellow for two years at the Johns Hopkins University School of Medicine. 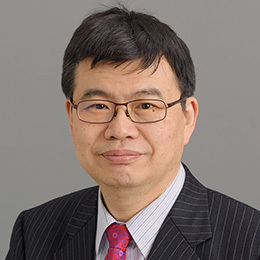 Okano has served as professor of molecular neurobiology at the University of Tsukuba (1994–1997), Osaka University (1997-2001), Dean of the Keio University School of Medicine (2015–2017), and is an honorary professor at the University of Queensland (2008–) and Peking University (2017–). He is the recipient of numerous awards and honors including the 2001 Naka-akira Tsukahara Award, a 2009 Medal of Honor with Purple Ribbon, and the 2014 Erwin von Bälz Award. Beyond academia, he is a member of the Board of Directors at the Japanese Society for Regenerative Medicine and the Japanese Society of Inflammation and Regeneration as well as a member of the World Economic Forum’s GFC on the Future of Biotechnologies.